The Foro, at the bottom of via Marina was the business and political heart of the city. The area dates back to the II and I century BC. 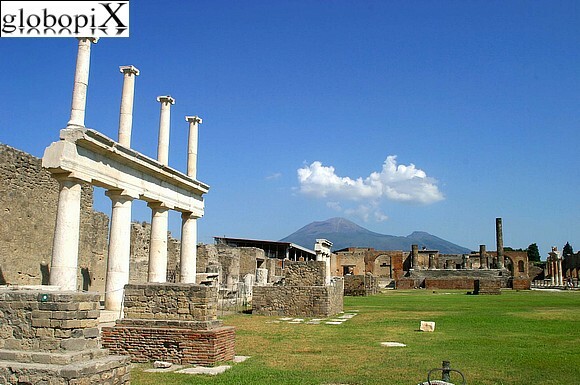 The magnificent setting of the Foro is represented with Vesuvius as backdrop.